Few things in Europe have been as stable as Belarus. It has been a staunch ally of the Putin regime. Belarus and its leader Alexander Lukashenko, have participated in Russian led Eurasian Economic Union and the two nations have tried to establish a supranational confederation. While the nations are closely knit with economic ties the progress on the confederation has been slow. Recently rumors have been circulating that President Lukashenko has been reluctant to relinquish control of his nation. The old collective farm head has after all ruled Belarus with an iron grip since 1994. Up until 2017 the disputes between Belarus and Russia have stayed mostly under the radar. Only some disputes involving the Russian energy giants have received any attention in the international media. Against this backdrop most analysts dealing with Belarus were surprised, when the Russian newspaper Kommersant published a story that President Lukashenko was going to pull Belarus out of most co-operation mechanisms with Russia. This would be a major blow to the EEU that is one of the pet projects of the Russian President Vladimir Putin. Kommersant speculated that Lukashenko would announce the move in his annual speech. President Lukashenko has recently made moves to please the European nations. Belarus lifted visa requirements from citizens of 80 countries. This move at least partially prompted Russian FSB to re-establish border controls between Belarus and Russia. One reason for the cooling relations between Moscow and Minsk is the economic downfall that has clutched both nations. Belarus owes Russia over half a billion dollars for gas and petrol. Russia has also repeatedly requested Belarus to give Russian air-force a permanent base in Belarus. Kommersant article coincided with an announcement that large parts of the Belorussian army were going to deploy out on training maneuvers. Regular troops would be joined by a large number of reservists being called up for refresher training. Belorussian army has been traditionally positioned to defend the country from attacks coming from its western NATO neighbors. This time the heavy mechanized forces deployed east from the capital Minsk. 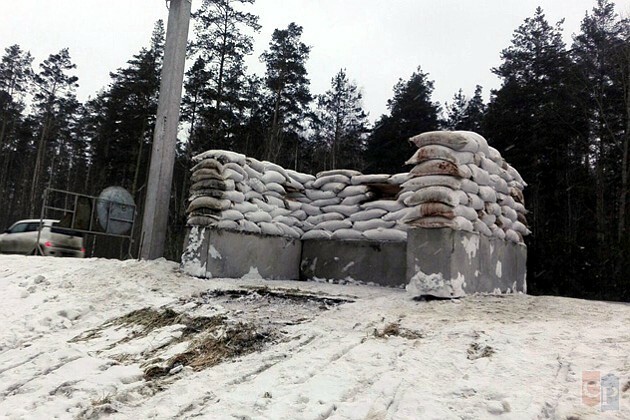 Troops began building field fortifications and defensive positions facing Russia along the Minsk — Moscow highway. This is the first time in decades that Belorussian troops have turned their tanks against Russia. As the exercise progressed it was confirmed that over 3000 reservists were called in. These were mostly older officers and NCOs. This could indicate that Belarus is currently preparing for a full scale mobilization. 1) Belarus breaks ties with Russia to close with the EU. This would cause strong economic and political reactions from Moscow. Military intervention by Russia is possible, but not probable. 2)The crisis is fabricated for domestic Belorussian consumption. Lukashenko will use the heightened tensions to strong-arm economic help from Russia. 3) The whole political crisis is just “maskirovka”, deception, the real goal is to mask the mobilization of the Belorussian army. 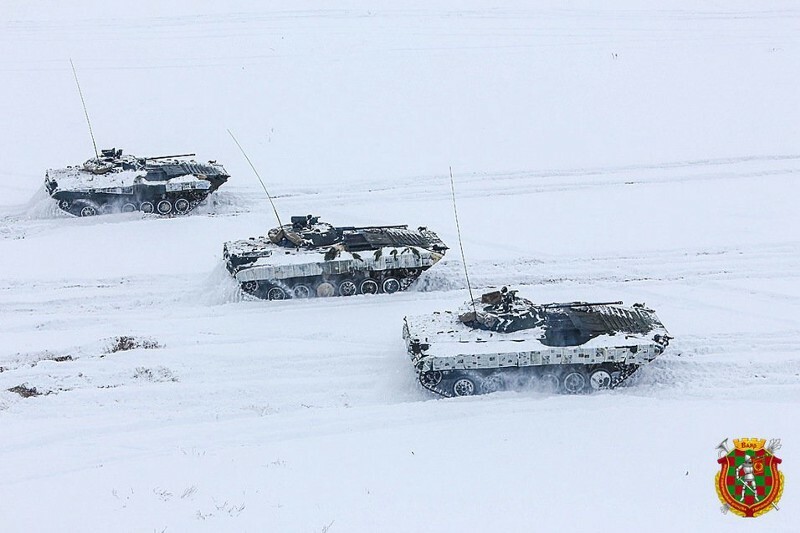 Belarus is essential in all Russian battle plans that involve either Ukraine or the Baltic. There is a straight highway from the Belorussian defensive positions to Kiev. The scariest alternative is that Russia demanded that Belarus would participate in number 3, but the Kremlin plans were too evil even for a pseudo-dictator like Lukashenko.